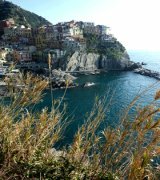 The Tellaro map is here to help you find your way to and around this charming village and its rocky coastline, five kilometres or so from the town of Lerici. Google Maps offers far more than a road map with a scale and a legend and has become a hub of information on any destination! You will be able to explore Tellaro through the traditional, illustrated street map, or you can flip over to "satellite" mode and see satellite images of the parks and paths ways. You can even check the traffic, flip through photos, Wikipedia entries, and webcams of the locations. They sure have thought of it all. Google Maps offers the best, most up to date, ad-free, detailed Tellaro map available today! To see images and photos of the roads in the map, click Lerici Municipality and then click on the little person figure above the + zoom option and grad it to the map. For example, place the little person figure (shown on the right) over Via Fiascherino and see the main road leading to town… For even more fun and pictures, as well as to get a real feel for the area, view the map in Google Earth by clicking on the "View in Google Earth" option above the map. If, on the other hand, you are looking to find the distance from a starting point to Tellaro i.e. the distance from Lerici to Tellaro, we recommend you look at the AA maps of Michelin. Their maps have lots of information and are very handy indeed ! 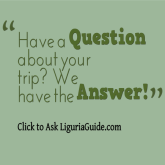 You can find further useful travel advice on getting to Lerici, on our dedicated Lerici Travel Resources section.